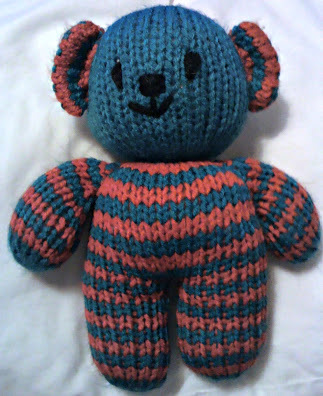 A simple knitted Teddy with a difference he is stripped and very colourful in red and peacock blue. I embroidered his face so it is safe and will not have anything that baby can pull out. 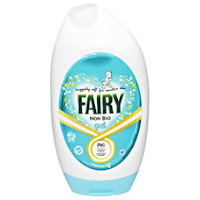 I washed him as well as I do all my toys in Fairy so it is nice and safe for delicate skin. It also means I get a chance to make sure the toys keep their shape and are colour fast. The yarn I use states it is colour fast but I like to make sure. Knitted Toys I have had the book a while now and have made several items from it and all turn out well. So little Oddbod is ready and waiting to be given to his new owner in June.